The drive from Stellenbosch to the Nuy Valley was beautiful, we wound our way through vineyards and beautiful old towns. 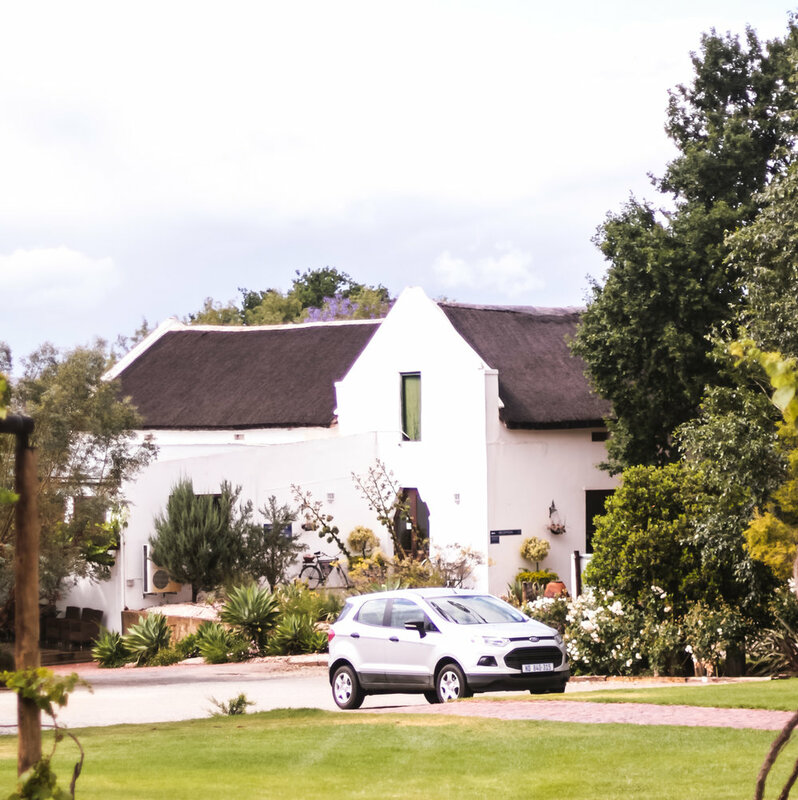 We had hired a little Ford Eco Sport from Avis which while was small, took all our luggage and was perfectly functional... however on those beautiful open roads I wished that I had upgraded to something far more impractical and sporting. Anyway. Arriving at the Leipzig Country House and Winery the clouds rolled in from the mountains and as the first drops of rain began to fall we headed straight to the wine tasting building to set the tone for the next few days. We found that we were quite literally the only guests for the few nights we were there and wine tasting was open for us whenever needed. 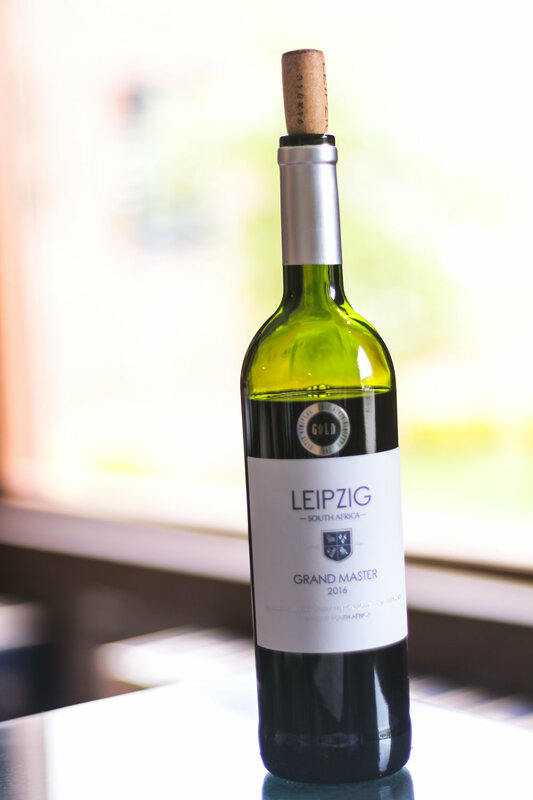 Perhaps it was the weather or perhaps it was just my palate, but I was drawn to the Leipzig reds, in particular the Grand Master. This particular bottle is a blend of Cabernet Sauvignon, Merlot, Malbec & Petit Verdot which compliment each other to create delicious rich tones of plums and dark berries. The Sommelier was lovely to chat to and provided a lot of information about the local area and anecdotal stories while we sipped at our glasses. The selection of white wines were equally as delicious, typical to the area they were zesty and fruity which are tastes which I utterly love. We ended up sharing a bottle of white over dinner later that evening. With the storms rolling in and downpours outside, we were stuck to wait out the storm in the beautiful old building with laughter and wine... and JB their resident Labrador Puppy... ahh... perfect!